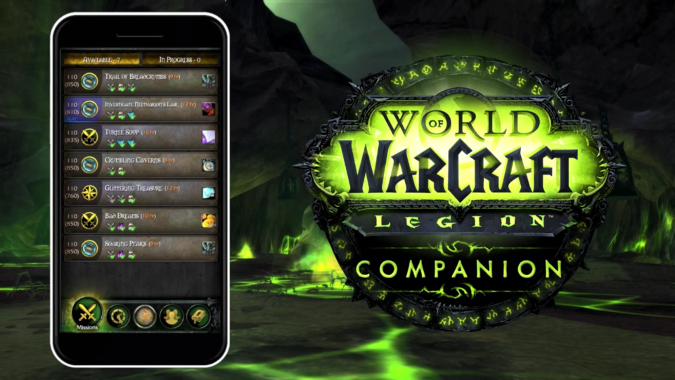 Breakfast Topic: Are you using the Legion companion app? I have to admit that I wasn’t exactly sure whether or not the new Legion companion app would be useful to me when it was initially announced. I only have the one character at level 110 right now, so I didn’t think of it as a necessity. But I went ahead and downloaded the Android version when it came out anyway. Phone gadgets are fun, right? Turns out it’s way more useful than I’d initially expected it to be. If I’m working, I can pop into the app for a minute and finish up missions. I can recruit more reinforcements if I need to. And for me anyway, it’s even more useful. We only play our leveling stream characters once a week. While leveling through Warlords content, this meant that my garrison went largely ignored. It wasn’t that I wanted to ignore it, it was a matter of time, and remembering to visit the thing in between streams. With the Legion app, good old Hattie can have her followers carry on with missions even when I’m not in-game. Since I already have a selection of “check in every now and again” mobile games on my phone, adding the Legion companion wasn’t really a big deal. It’s just another thing I check in on every now and again. I think it’s only going to get more useful as I level up various alts. But I do wish that the app would let me check up on Nomi while I’m checking everything else. He’s on a timer with everyone else, why can’t we check in with him, too? How do you guys like the Legion app? Are you using it? Are there things you’d like to see added to it eventually?